These days it seems doing whatever it takes to acquire celebrity status is a shared goal among millennials. And the younger generation isn't alone. Even adults are getting sucked into the allure of going viral as it has never been easier to share our "talents" with the world through use of social media. Anyone can gain internet fame by making a hilarious video, pulling off a dangerous stunt, or sharing a controversial photo. Even reality shows are getting in on the instant fame game. Since the formula for fame involves taking things a step further than anyone else has, many lives have been destroyed, even ended, in search of fame. These people's lives were never the same after desperately trying to get their 15 minutes in the spotlight. 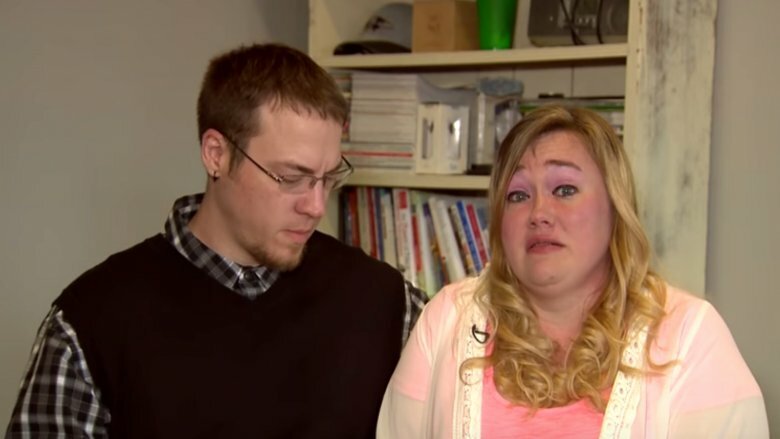 A Maryland couple, Mike and Heather Martin, made their claim to fame on the internet playing pranks on their kids and posting them on YouTube under the channels "DaddyOFive" and "MommyOFive." One particular video that had viewers fuming showed the YouTubers pranking one son by blaming him for a mess he didn't create. The video has since been taken down, but the New York Post quoted the parents using harsh language telling the 9-year-old boy to "Get your f–king a– up here!" and asking him "What the f–k did you do?! What the f–k?!" Viewers were so alarmed that a petition to get Child Protective Services to investigate the family was created. The Martins are a mixed family, as both Mike and Heather have children with exes. The biological mother of two of Mike's children, Rose Hall, got involved when she saw the video and obtained emergency custody of her two kids. The couple has been said to show signs of "gross immaturity" and have been accused of "exploiting the kids for fame and money" according to a report on Good Morning America. While the "DaddyOFive" channel has had most of its videos taken down, possibly for legal reasons, Heather's channel "MommyOFive" still holds several of the couple's videos including a disturbing prank where Mike pulls a gun out on one of his kids. While appearing on The Real Housewives of Beverly Hills, it was clear that Russell and Taylor Armstrong's marriage was in a rough spot. Russell's attorney Ronald Richards explained to People that the couple was living far beyond their means and they struggled to make ends meet, a factor that was only intensified after joining the reality show. Richards told the magazine, "Each month was a challenge for him to cover their lifestyle. Russell was in a lot of debt and he had legal problems. His credit cards were used up. He had serious financial problems. And that no doubt caused him a lot of stress." 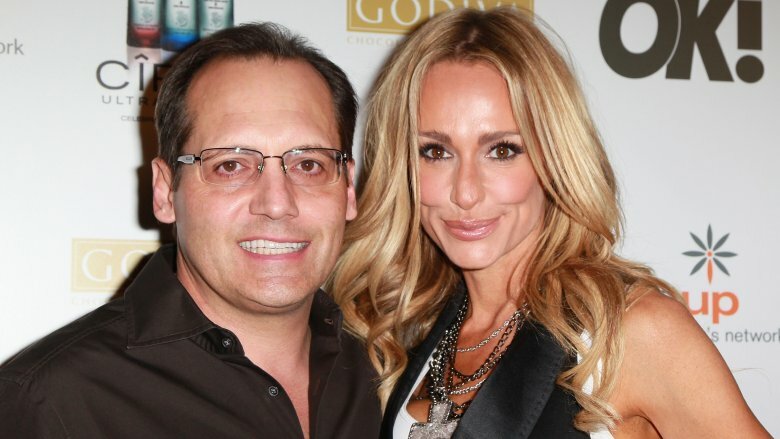 During filming of the show, much of the couple's dirty laundry was aired out for the public's entertainment, including their financial struggles and a $1.5 million breach of contract lawsuit. In the end, Taylor filed for divorce. During divorce proceedings, Taylor made public claims that her estranged husband physically and emotionally abused her, saying he shoved her, pulled her hair, and threw things at her on several occasions. Russell denied things got to that point saying, "Did I push her? Yes, maybe things happened in the heat of the moment, but it was during a time in our lives that was not characteristic of who we were. This show has literally pushed us to the limit." Unfortunately, being in the spotlight was too much for Russell to handle and he hung himself in a Bel Air home, according to CNN. A young Minnesota couple made an attempt at fame with a YouTube channel devoted to sharing their lives with their fans as well as a few stunts and pranks. Wanting more followers, Monalisa Perez and Pedro Ruiz III came up with an idea for a dangerous stunt, which Perez tweeted about prior to the incident. According to CNN, Ruiz's idea for the stunt was to hold a book to his chest while Perez shot him, thinking the book would stop the bullet. Ruiz had convinced his girlfriend, who was 7 months pregnant at the time, that the stunt would be successful after showing her a book that he'd practiced on, where a different book had be able to stop the bullet. 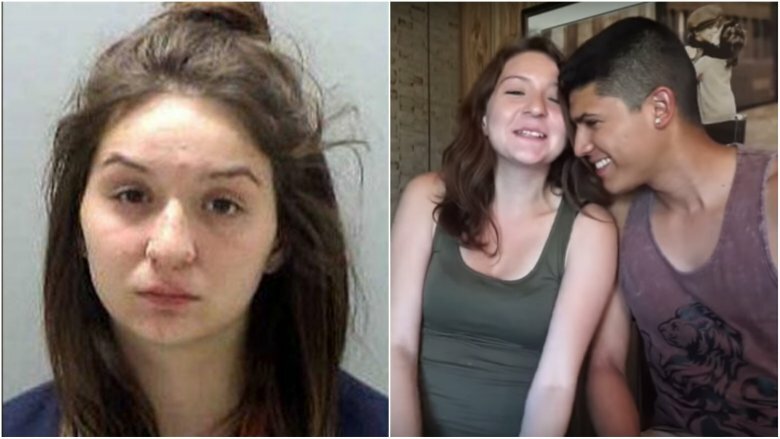 Using a .50 caliber Desert Eagle handgun, Perez shot her boyfriend and the father of her two children from just a foot away. Ruiz was pronounced dead on the scene at just 22-years-old. Valley News Live reported that Perez was arrested and charged with manslaughter. Currently out on $7,000 bail, the 19-year-old must wear a GPS monitor and faces over ten years in prison and a $20,000 fine. None of her social media sites have since been updated with her feelings on the situation, and there's no report as to whether or not the couple's toddler, who appears in most of their other videos, was watching. Perez did, however, get the fame she was seeking after all. Social media trends come and go, but one trend that's stuck around is challenges. Occasionally these challenges are designed to raise money for important causes, but more often than not they' are just attention-seeking ways for people to gain viewers and followers. One of the most dangerous challenges making its rounds on the internet is the hot water challenge, where those participating hold their hand or douse themselves with hot water to see how long they can withstand it. One of the victims of this challenge was 11-year-old Jamoneisha Merritt of the Bronx, whose friends poured boiling water on her while she was asleep at a sleepover according to NY1 News. The child's mother Ebony spoke spoke to reporters saying, "I was told that they didn't like her. And they just been bullying her." After spending nearly two weeks in the hospital with second degree burns on her face, neck, shoulders, and chest, Jamoneisha was in good spirits when she spoke about the incident with CBS New York, saying "I feel good!" While she seems to be on her way to healing physically, her mother says the event has left her daughter with emotional scars, saying, "She's very sad. She's emotionally messed up. She don't understand why they did that to her. She thought they was her friends." A 12-year-old has been arrested and charged with felony assault in result of the incident. The corn drill challenge seemed innocent enough with people timing themselves eating corn off of a spinning drill, but like most of these viral challenges, it turned out to be more dangerous than entertaining. One woman attempting this challenge made the mistake of leaving her hair down. The video shows the woman's hair getting caught in the drill and being ripped from her scalp. 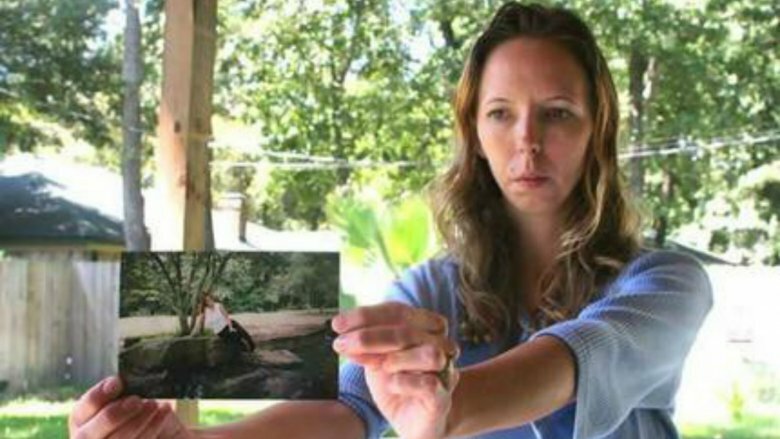 Since the woman hardly reacted in the video, appearing to be more in shock than in pain, people began to speculate that it was staged. To prove the incident was in fact real, the woman released another video where she shows a close up of her scalp and tugs at her remaining hair to prove the skin around the scalp is real. "I have some red spot on my hair, you see, it is real, it is my scalp," the woman says in the video as translated by Daily Mail. Most unfortunate, her bald spot is front and center making it nearly impossible to hide. Kathy Sleckman had her heart set on appearing on Survivor and in 2004 it looked like she would get her chance. After a 10-day interview where she was secluded from other potential contestants according to the New York Post, she was told she didn't make the cut. Sleckman might have given up on gaining reality stardom, but she got a second chance a few years later when the show's producer contacted her for another interview. 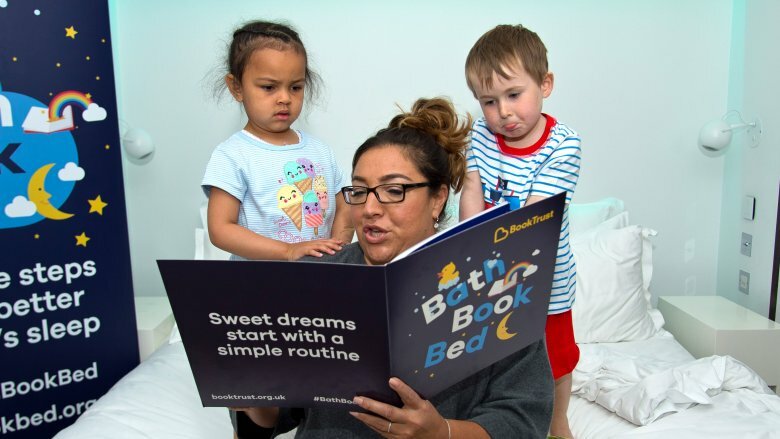 In between her two interviews, Sleckman had become a mother and was dealing with postpartum depression, which she was taking Zoloft to treat. She went out of her way to hide this fact from producers, going as far as to pay for her doctor appointments in cash as to not leave a trail. "While I was out on the island, my mind went to, 'My husband's seeing someone already,' 'My daughter's going to hate me . . . and become a crack whore' . . . I was mentally going down a rabbit hole," she admitted. After admitting to a producer that she was having suicidal thoughts, she was immediately given medical attention and put back on her medication. While it was obvious that she was missing her family during filming, the depth of her depression was never aired and her exit from the show was vaguely explained as her quitting. Deleese Williams was all set to appear on Extreme Makeover, and had already gone through an extensive amount of the process when the show decided to drop her just hours before her first procedure. Interviews with Williams' family members had already been done where everyone was asked to talk about how ugly they thought she was, leaving her sister Kellie McGee especially guilty after Williams was sent home without her makeover. So guilty, in fact, that she committed suicide just four months later, resulting in a lawsuit against ABC and The Walt Disney Co. The Los Angeles Times reported that the lawsuit stated that McGee and her other family members were pressured by producers into videotaping "hurtful and horrific statements" about Williams' looks to add to the drama of the show. When they returned home, Willaims was so ashamed to be going home looking the same that she became a recluse, too ashamed to show her face in public. ABC network expressed their condolences for the family, but said producers had told Williams and the other contestants repeatedly that their makeover wasn't guaranteed. Kerry Hillhouse was having difficulties with her 11-year-old son Ryan, and sought help from both a doctor and his school before deciding to get her family on Supernanny according to the Daily Mail. Unfortunately, having the cameras around only made her son act out even more, and the show took advantage of that. Hillhouse, who cried after seeing her family's episode of the show said, "All the moments when Ryan kicked off were edited together, to make it look as if we lived in some kind of battleground." The aftermath of their 15 minutes of fame was worse than Hillhouse ever could have imagined. Local newspapers were calling her the "worst mother in the world" and clips on YouTube were keeping the family's humiliation alive long after the episode aired making it difficult for her to show her face in public in her small town of Ayr. The show also contributed to the separation of her and her husband Stephen, whom she shares twin boys with. "I could not believe how awful we looked. I hold up my hands in that I went to them for help, but I trusted them to put out a balanced and thoughtful programme." Hillhouse went on to say that she doesn't think her family will ever recover from their reality fame and recommends anyone thinking about appearing on a reality show to think again. While reality shows based on competition don't typically lead to stardom, they can result in enough cash to make it worth giving it a go. What's the worst that can happen? Thirty-two year old Saad Khan would be able to answer this question, if he were still alive that is. As a contestant on a Pakistani reality show, Khan drown while swimming across a lake with a 15-pound backpack on, according to Daily Mail. 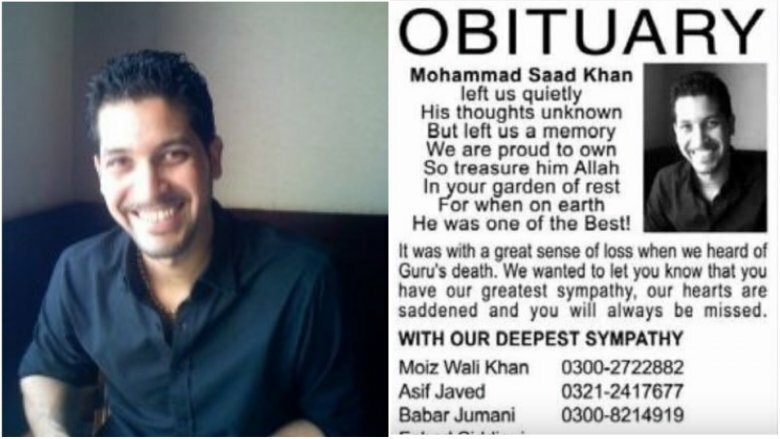 The report states that Khan was able to call for help before disappearing under water. Other contestants and crew members all jumped into the lake to help him, but the lake water was too murky for anyone to be able to find him. Divers were able to find the body later. The National reported that the show wasn't Khan's first moment in the spotlight, as he had modeled in the past and was always interested in being on television. Khan was seen as the star of the show, thought most likely to win until he was eliminated in the third round after failing to complete a challenge. Rather than sending him home, the show's producers decided to keep him around and surprise the other contestants with his return several days later. His first challenge upon his return led to his death where he was required to run through fire, swim across a lake, and climb a rope all while wearing the weighted backpack. Since the show won't release the footage captured by cameras, it's impossible to say if they should be held responsible. It's hard to say who exactly Dalia Dippolito thought she was talking to when she told an undercover detective she wanted to pay him to kill her husband. According to People, Dippolito claims that the recording made by the detective where she tells him she's "5,000 percent sure" she wants her husband dead was actually a video project she was doing with her husband and a previous lover in attempt to get their own reality television show. To be fair, the whole thing was being aired on Cops where they actually filmed telling her that her husband was "murdered." Dippolito's attorney Michael Salnick made claims that her husband was fully aware of the situation, and it was actually his idea from the start according to Broward Palm Beach New Times. Salnick even claimed that Dippolito's husband prepared for his reality stardom by getting braces and liposuction, before staging the whole incident for the cops to tape. Unfortunately, when her husband took the stand, he denied having anything to do with her plans to get famous calling it "ridiculous." Dippolito was sentenced to 16 years in prison, which is just a few years shorter than her 2011 conviction of 20 years that was thrown out on appeal. Like so many with pop-stardom in their eyes, Paula Goodspeed took her talents to the judges of American Idol. During her interview, Goodspeed spoke to Ryan Seacrest about what a huge fan fan she was of Paula Abdul, who was judging at the time. She was clearly nervous during her performance, however, it seems that this poor woman had been singled out as a potential target long before she stood before Abdul, Simon Cowell, and Randy Jackson. After singing Tina Turner's hit "Proud Mary," the insults began, not only calling her performance "horrible" but also having a lengthy conversation over the fact that all that metal in her mouth (she was wearing braces) must be effecting her vocals. Even though Goodspeed seemed relatively okay about her dismissal, she was found dead in her car not far from Abdul's home. According to Daily Mail, she was found in a car surrounded by prescription medication, with a photo of Abdul in her rear-view window. Even Goodspeed's license plate read "ABL LV," presumed to stand for "Abdul Love," which contributed to the media speculating that Goodspeed was some kind of stalker or super fan. Goodspeed's brother Charles McIntyre disputed these claims saying,"'She was not obsessed. She was a fan. She adored Paula Abdul since she was a teenager." Her family also said that Goodspeed had gone to Hollywood to see if she could make a career out of her voice, and when she was humiliated on television, it was all over. California teenager David Nuno and his two friends were enjoying some YouTube videos when they came across a few that showed participants of "The Choking Game." This game consists of someone choking another person until they pass out, creating a sort of natural high. According to ABC News, Nuno and his friends tried this game after seeing a how-to video. While Nuno was passing out, he fell onto an empty glass, which broke under his weight and sliced through his jugular arteries. After discovering all of the blood, Nuno's friends raced downstairs to get the boy's father. He regained consciousness just as his father was coming upstairs to help him, but regardless of his father's attempts to apply pressure, Nuno unfortunately passed away at the hospital. Aspiring model uses chemical tan to appear "black"
Martina Adams, AKA "Martina Big," is best known for her extreme plastic surgery decisions and her desire to become some kind of version of a live Barbie doll. Adams left her job as a flight attendant to become a glamour model according to Daily Mail, and her transformation progress will pop up in a news story every now and then. Her modeling career may not have taken off, but she certainly has managed to get the public's attention. With a 32S cup size and a substantial amount of plastic surgery done to her face, perhaps Adams ran out of ways to drastically change her appearance and keep her name relevant in the media. She made enough of a stir to appear on several talk shows as well as Botched, where the doctors felt her breasts were too big to operate on. Now Adams has taken things way too far, and has begun her transformation into a black woman. The naturally white German woman used chemicals to increase the melanin in her skin and announced on her Facebook page (via Cosmopolitan) "I had done the next step in my transformation to a black woman. Yesterday I was with an African hairdresser and got a hair extension with curly, African hair." She's going to continue her transition by changing, "my hair structure, my facial features and enlarge my buttocks." If attention was what she was after, then she sure has gotten it as people are outraged by her sheer ignorance surrounding the situation.